my question is: Is there a site or some software that I can use to test that my computer has not been corralled to mine crypto currency? Something in the McAfee Multi Access security suite, supplied by my ISP, is blocking both "CoinHive" and "BrowseAloud"...... I decided not to override. Thanks to the Queen of Security! I'll go read the links and take some notes. I try and be safe but when government sites get hacked, even safe sites can't actually be trusted as safe. uBlockOrigin blocked the coinhive site in Palemoon. It didn't get as far as MBAM blocking it. Love uBlock Origin! I have it on both Pale Moon and Microsoft Edge. If you've gone to the dashboard and added HP Hosts or MVPS Hosts, that is likely why the conhive site was blocked ahead of MBAM. No, I haven't done a thing with any Hosts files. It was easy enough to add "No Coin" to Firefox, but I was wondering what to do about Edge. "uBlock Origin" is one of the extensions available for Edge, and adding HP Hosts or MVPS Hosts were options. If I already have Ublock Origin and MBAM PRO, do I need another coin mining blocker? I think that is sufficient. Thanks! I had noticed FireFox has a couple extensions for that and was wondering. Corrine, on my Windows 7 computer I usually use Pale Moon (with Adblock Latitude 3.0.3.1 extension), yet sometimes Firefox or Internet Explorer. I also have "SeaMonkey" installed, yet never use it. Please give us the specific instructions on how to install the uBlock Origin (and also "uBlock Origin Updater"?). 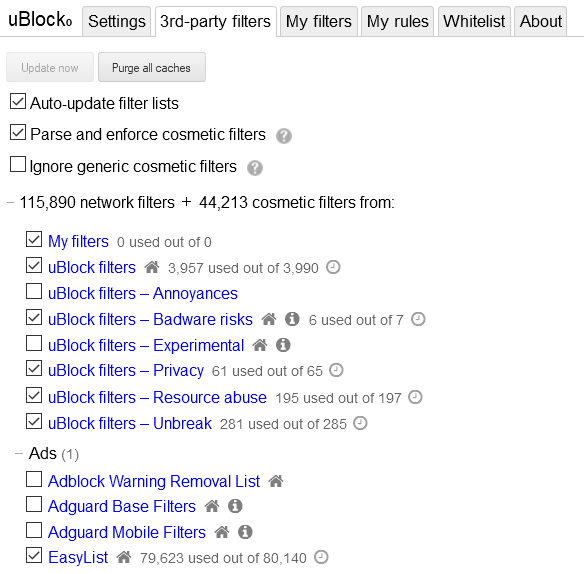 Is uBlock Origin easy to install, and keep updated? Also, will using uBlock Origin alone keep us safe from the crypto-mining scripts / secret CPU usage? I read through the articles you cited. I currently use MBAM, yet don't wish to pay for MBAM Pro. As always, your expert advice is greatly appreciated! Ps; If you have any additional advice for those of us who often use Safari, I would greatly appreciate it! uBlock Origin is now tricky to install in Palemoon since Firefox went to the new type of addon. Mozilla has removed all the old type addons. and find a version, the newest you can find, that has a green download button. 1.13.8 can be installed. 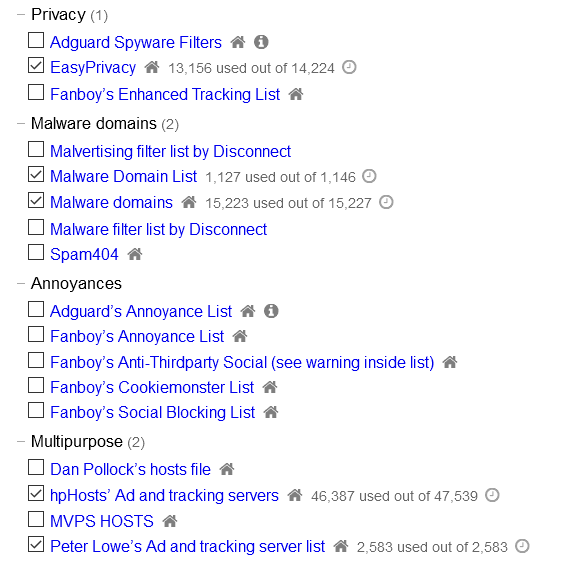 Would it be useful to have a discussion about using a hosts file vs. a browser–based ad blocker? Or both? John, uBlock Origin is available for Safari on GitHub. You may want to read this article to get a bit of background on uBlock Origin: macOS: uBlock Origin comes to Safari | CIO. The download links at GitHub are in the article. While we're on the topic of uBlock Origin, some time ago Satrow directed me to a thread on the Pale Moon forum with suggestions for setting it up. Since I can't find the thread now, I made screen copies of the setup I have. The options are available by selecting Options > Show Dashboard from the extension.